The following are features that I have produced and aired during my tenure. 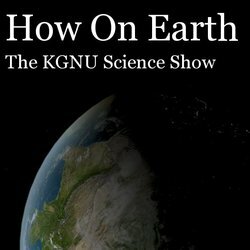 How On Earth reporter Kendra Krueger caught up with Gerald Pollack, Bioengineering professor from the University of Washington to talk about the physical chemistry of water. The science of water has a sordid past of controversy and dispute which continues today in our current scientific and layman communities. Why is that? What is so strange about the properties of water? Listen in and find out more! Here is the extended interview with Dr. Gerald Pollack, University of Washington professor of Bioengineering. We talk about what barriers exist for scientists in today's community and a new resource for research to be evaluated in a rigours and open minded format. An educator and perfomer, Len Barron first developed a piece about Einstein and Bohr as a one man show, but then decided to evolve the project by enlist the help of 8 grandmothers to tell the story with their own added pizazz. Not only was lively performance produced, but a process and experience was shared. This process was captured by documentary film maker Robin Truesdale in a film coming to the Dairy Center this weekend entitled A Beautiful Equation. Both Robin and Len have joined us today in the studio to tell us more about the film, the process, the scientists and the grandmothers. There’s a lot of attention right now on creating environmentally friendly technology, non-toxic and sustainable manufacturing, but as Dr. John Warner explains it, it all has to start with the chemistry. John Warner is a chemist, professor and co-founder of the Warner-Babcock Institute for Green Chemistry. He speaks profoundly about learning methods from nature to create safer, more resilient and more elegant chemistry. John was also the recipient of this year’s Perkin Medal, one of the highest honors in the field of chemistry. Joel Parker joined me on How on Earth to talk about Rosetta's successful rendezvous with a comet! We talk about the roundabout path it's taken and what's in store for it's roadtrip through the solar system. Dr. Katharine Hayhoe, a professor of atmospheric science at Texas tech came to town to speak at Chautauqua. As a scientist and a Christian, she advocates for illuminating the urgency and reality of climate change to conservative and religious audiences. We had the opportunity to sit down and talk about the interconnection of faith and science and why so much tension exists between these two communities. In an age where the consumer continues to be more displaced from the creators of goods, there is a visible movement to reconnect. The local movement has given rise to a number of community supported projects, challenging mainstream economic models of today. Many arguments are made on the benefits of such models, which can not only be financially sustainable but also psychologically advantageous. The Boulder Museum of Contemporary Art and The Denver Botanical Gardens have developed a program to create a local art market through Community Supported Art shares. In Fall of 2013, I attended a distribution event where shareholders had come to meet artists and pick up their shares for the season.